« Day 539 In Beijing: Happy Thanksgiving! Day 540 In Beijing: El Luchador de Esmog! Baijiu is the local hard alcohol drink here. In general, it is horrible. Jill and I wake up every morning and the first thing we do is check the AQI. For those that don’t live in China, and most of you don’t, AQI stands for Air Quality Index. This is of supreme importance in Beijing because there are days when we won’t leave the house. We had planned to go to the German Embassy today, as they are having their annual massive faire, but we stayed in instead. 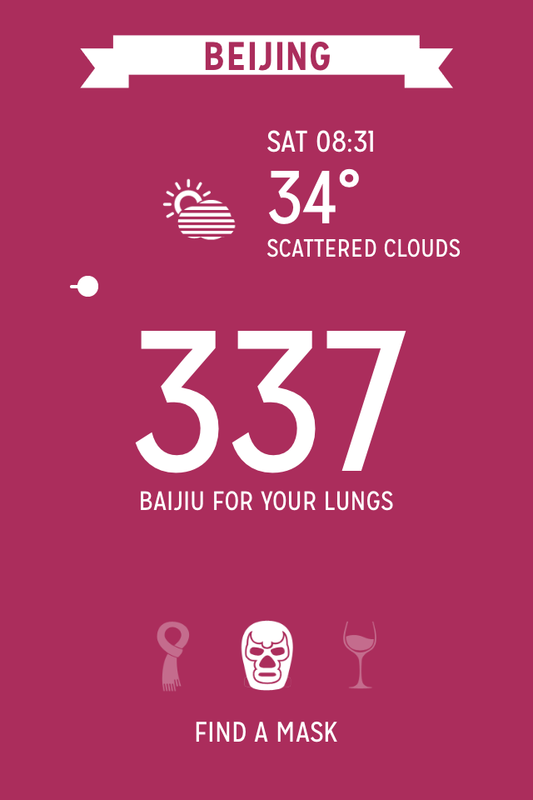 There are a lot of apps, which rate the AQI, and I just found this new one called “Airpocalypse.” It is one of the few that doesn’t have the US Embassy’s numbers blocked, as the Chinese government has now blocked the numbers on many of the apps that are available, and their writers have the best sense of humor. 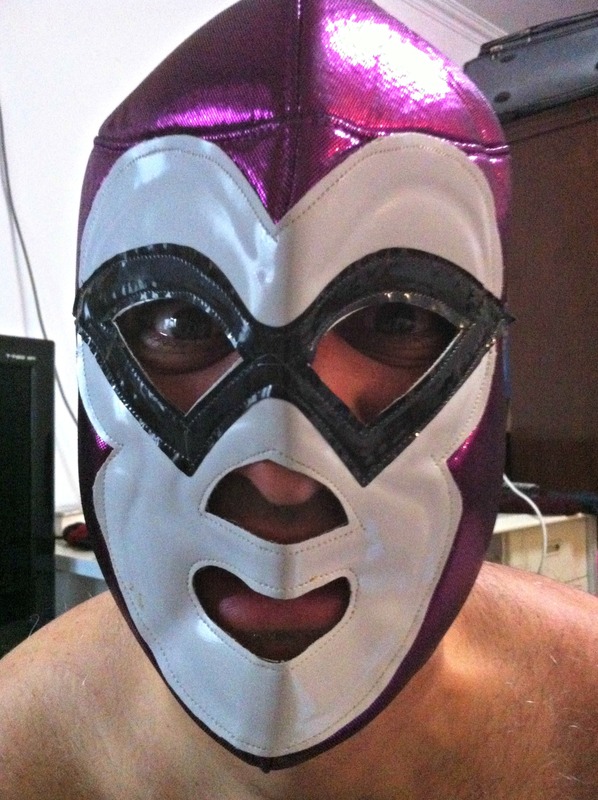 El Luchador de Esmog is ready to save your lungs! They constantly have hilarious comments about the pollution and what you should do to stay safe. Today it said, “Find a Mask” and had a picture of a Luchador mask on it. Strangely enough, I stayed with my cousin Michelle, and her husband John, in Mexico a few months before I came to China. 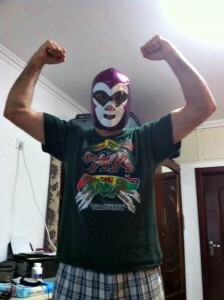 I decided to buy a Luchador mask there and bring it to China. Yes, I’m a weird dude. So, just to make a miserable air day a bit better, I put the mask on and Jill took a picture of me in it. I then posted it on my WeChat (sort of like Facebook/Twitter/Instagram here in China. By the way, those are all blocked by the government here just like the U.S. Embassy’s Air Quality Index). Esmog will not defeat me ever! I think it is a pretty good representation of their Luchador mask and actually emailed the developers my pictures. I hope they laugh as hard at my pictures as I do at their comments about the weather. Honestly, when the pollution is this horrible, it takes creative people, like the Airpocalypse developers, to make this city seems somewhat sane. By the way, our friends at Jing A Brewing have a beer called The Airpocalypse. As the AQI gets worse, they give larger discounts. The discounts start at 200 AQI and go all the way up to 400 AQI (after that it stays the same). I wonder if they’d be willing to do a home delivery?